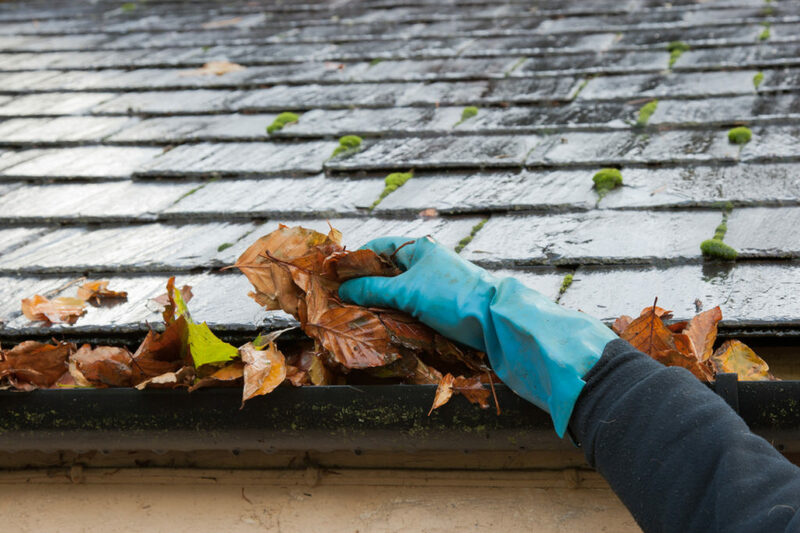 Although the gutter is one of the most important structural aspects of the home, many homeowners still put off maintenance and cleaning until a problem is noticed. Such problems may include a water-clogged eavestrough or basement flooding by a clogged eavestrough. Since clogged gutters can bring water into your basement, here are some signs to be aware of and how you can get help if this happens to you. If you are trying to prepare your home for the winter season, you will want to thoroughly inspect the interior and exterior of your home. It can be difficult to see a problem before it happens, so here are some common signs that can help you tell if your eavestrough is clogged. Eavestroughs are a very important area of your home because a clogged gutter can cause water damage in your home. If you do notice that your eavestrough is clogged, or if you have noticed any of the following signs, call a professional water damage restoration company to get the solution fixed as soon as possible. Heavy rain or melting snow from the winter can fill up your gutter too quickly and cause an overflow. This kind of clog needs to be repaired urgently because guttering systems are designed to allow a certain amount of water to flow through without any spillover. If this runoff water is overflowing, it can cause damage to the foundation. If you notice any signs of staining on the sides of your home, this can be a sign that you have standing water in your gutter system. When rainwater remains stagnant and builds up, it can cause expensive damage to the fascia boards behind the gutters, and the shingles of your roof. Having your gutters inspected is essential to protecting the rest of your property. If you notice bugs, rats, squirrels, opossums, raccoons, or birds peeping out of your gutter, you need to call a professional cleaning company to remedy this clogged gutter problem. Piles of leaves and other debris can provide a warm and comfortable place for small critters, but this can lead to clogging and other problems for you. If you have plants growing in your eavestrough this would be considered a clear sign of clogged gutters. When seeds accumulate in the gutters along with debris and dirt, a gutter garden can begin to form. In this case, you should have your gutters cleaned out to discourage plant growth in your gutters. Water in the basement means that water has somehow pooled into the foundation, and you should get it checked immediately. Water in the basement, if left unattended for too long, can harm your appliances, furniture, and lead to the growth of mould. If you notice leaking water in your basement you should call a professional water damage cleanup crew to help remedy the situation. Making sure that your eavestroughs are regularly inspected and cleared out is important to ensuring the safety of your home. Leaves, debris, water, and other materials can block the passage, preventing water from properly draining away from your home. The Greater Toronto Area has just had its first major snowfall, so if you haven’t had your gutters properly inspected yet, it would be prudent to do so soon. Here are some common problems caused by clogged eavestroughs. Gutters are designed to prevent water from leaking into and around your house, as it creates a safe and guarded pathway to carry the water down your roof. However, if these gutters get clogged, the water that accumulates will find another way out. The gutters can leak inside your house, which can cause significant damage to your roof, ceiling, and walls. Broken eavestroughs are a major source of water buildup around the home. In the winter, the change in temperature and build up and break down of ice and snow can cause your eavestrough brackets to snap off. If your eavestroughs are sagging or cracking, it will impair their ability to drain the water away from your home. This creates a higher risk of foundation damage and usually results in a flooded basement. Clogging from water buildup can lead to further problems with your eavestroughs. If they are filled with debris, your gutter will not be able to hold onto the roof and could break away from the wood fascia. This will cause a great deal of damage and water leakage to your home. Gutters are a preventative measure to keep water away from your home. But if they are clogged or damaged, they will not be able to perform and will likely lead to water damage to your home. Heavy rains, overland flooding, and clogs will hinder your gutters from protecting against basement flooding. This is why drainage and water damage solutions are so important. To prevent a clogged gutter, you should have your eavestrough regularly inspected. If you need help to inspect your gutter or need immediate assistance for a basement flood, there are professional water damage restoration companies that can quickly respond with the solutions you need. These professionals can inspect your home, assess the problem and cause, and provide you with effective advice and solutions. When facing any kind of water damage, Flood Services Canada’s quick-response teams serve the Toronto, Oakville, Ajax, Whitby, Georgina, Barrie, Mississauga, and Lakeshore areas. We’re ready to provide 24/7 sewage, water damage, and food cleanup services and will use the best techniques, personnel, and technology to ensure your home or business is clean, safe, and dry as soon as possible. Contact us at (416) 302-2107 to learn more about our water damage cleanup services, or use our emergency hotline at (416) 999-3930 to get our rapid-response teams deployed to your location.